Feud between Joel Quenneville and Stan Bowman? Coach Q to Montreal? 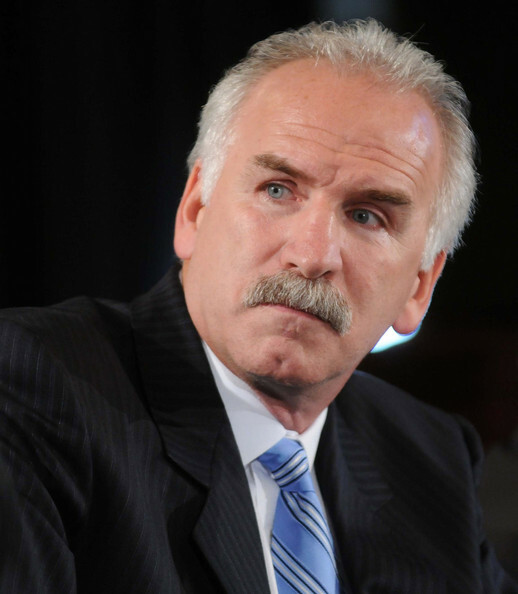 It’s quite possible Chicago Blackhawks Coach Joel Quenneville may not be back next season, even if he is under contract. Coach Q. and the Montreal Canadiens could be a perfect fit. One relationship that appears to be anything but perfect is that between Quenneville and GM Stan Bowman. It’s actually rather strained. Elliotte Friedman: Bergevin and Quenneville have a close friendship going back to when they were together in St. Louis. Quenneville does have a French background — I don’t know how well he speaks it, but he apparently knows it — and I think if the Canadiens went down this route, there would at least be a conversation about Quenneville leaving Chicago and going to Montreal. Glenn Healy: One thing is very clear, guys — there are two separate camps in the Chicago organization. It is one of the worst-kept secrets in hockey. I think, as Elliott does, that Quenneville could have an opportunity to get away. – Bowman didn’t say this, but assuming Quenneville sticks around, it’s extremely possible the guy in charge of the power play, assistant coach Mike Kitchen, won’t. Quenneville assumed his current position when Dale Tallon was still General Manager, and Bowman held a front office position that was essentially sixth in the organization. He took over for Denis Savard shortly after Bill Wirtz died and Rocky Wirtz took ownership of the team. These changes are important to remember when considering how the 2010 Stanley Cup team was built- and with it who has the social capital to stay on now. Stan Bowman is no genius whiz kid, he’s made just as many moves to wreck the team as he has to salvage it following the exploded salary cap time bomb Tallon created. Bowman is only a mediocre GM, and the Hawks would be better off siding with Quenneville- if it comes to that. The complete opposite happened with American League baseball team in town. It was the White Sox manager Ozzie Guillen, not the GM Kenny Williams, who had to leave town when the power struggle became too fierce.